Passed away unexpectedly at his home on July 28, 2018. “Roger” was born June 16, 1947 in Kalamazoo to Leonard P. & Helen M. Crapoff. He served in the U.S. Navy from 1963-1967. Roger was a very quiet, wonderful man. He kept a lot of things to himself. He had many friends that loved him and he loved them. 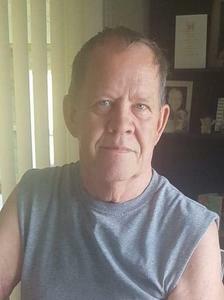 Roger is survived by 3 children: Leesa Ann (Henry) Jaquay, Gary Crapoff, and Amber Elaine Smith; 4 grandchildren: Jillian Lindsey and Jack Henry Jaquays, Andy VanDyke and Nathaniel Cagle Crapoff; a sister, Shirley Ann Spencer of Kalamazoo; and fiancé, Jim Christensen Sr. also of Kalamazoo; a special friend, Linda in Florida who was the love of his life; and wonderful friends, Ceaser and Judy Millers of Parchment. Roger was preceded in death by his parents; brothers: Gerald Lee Crapoff of Grand Rapids; brother, Dennis Paul Crapoff of Kalamazoo; and step-brother, Leonard (Marge) Robert “Lenny” Crapoff. Roger worked for many years at Shakespears Manufacturing of Kalamazoo & Mann Hummel of Portage where he retired in 2013. He used to bowl on a league when he worked at Mann Hummel. Roger loved his family very much and they really loved him too. He will be greatly missed by his friends and family. According to this wishes, cremation has taken place and burial in Ft. Custer National Cemetery, Augusta will take place at a later date. Visit Roger’s personal webpage at www.BetzlerFuneralHome.com, where you can archive a favorite memory or photo of him and sign his online guestbook. Arrangements by Betzler Life Story Funeral Homes, 6080 Stadium Drive; Kalamazoo (269) 375-2900.